You’re exhausted, restless and on edge. But that’s normal, right? 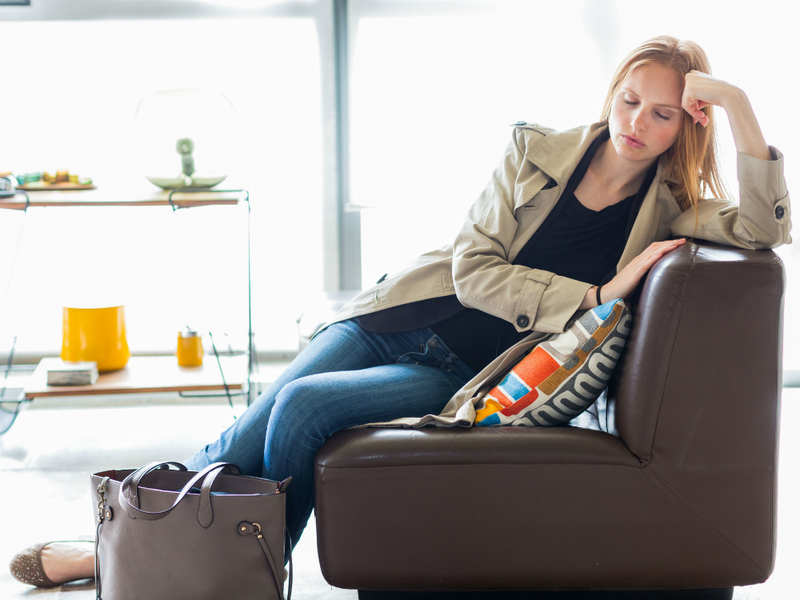 Yes – or it could be adrenal fatigue. Here are 10 things you need know. Adrenal fatigue is the over-achiever’s affliction. Just because you’re tired doesn’t mean you’re adrenally stressed. Good stress, bad stress – your body still releases adrenaline. That’s why even ostensibly good pressures – moving in with your boyfriend, taking on an exciting new job – you can contribute towards adrenal fatigue if your life is already overflowing with work commitments, a jam-packed diary and very little downtime. Your body will still release adrenalin and cortisol into your bloodstream as a way to keep up and, when its supplies run dry, you’ll feel jittery, exhausted and unable to cope. If your blood sugar hits a low, your adrenals will hammer out hormones. ‘That’s why regular snacks every three to four hours are crucial,’ says Tim Jones, health and fitness specialist at tjfpersonaltraining.com. Not allowing yourself to get ravenous avoids placing stress on your adrenals. Good, high-protein snacks to stabilize blood sugar include nuts, boiled eggs and chicken. Wilson says, ‘If you suspect you’re adrenally fatigued, ditch the coffee and sugar, as they stoke imbalances by spiking blood-sugar levels.’ He also recommends eating within the first hour of waking and having a small snack near bedtime. Your GP could well miss it. The medical establishment doesn’t fully buy into adrenal fatigue and, as a result, it’s rarely diagnosed by doctors. The issue is further complicated by the fact that the key signs of adrenal fatigue – exhaustion, trouble sleeping, feelings of panic and of being unable to cope – mimic the classic symptoms of depression. ‘A huge number of patients are being dismissed – or offered antidepressants as a token measure, which is the last thing they need,’ says Doyle. It’s most commonly diagnosed by naturopaths after a lengthy consultation, and a blood, saliva or urine test to measure hormones. If adrenal fatigue is suspected, your practitioner will overhaul your diet and lifestyle, and suggest taking vitamin supplements. In severe cases, a naturopath may prescribe a replacement regime for the hormone DHEA. Your body clock seems to be out of sync. Stiff and sore muscles can be a symptom. When you’re stressed, blood is diverted to the brain and major organs, like the heart, telling you a threat is perceived. This can cause raised shoulders, stiff upper back and neck, and stiff leg muscles. Usually, the immediate threat or stress is short-lived and the body returns to normal. But if you’re living with adrenal imbalances due to chronic stress, this will become your ‘resting state’ instead of a temporary response to stress. Your adrenals hate long workouts. ‘Don’t exercise every day,’ warns Jones, ‘or for hours on end. Cut down on cardio. If you think you might be suffering adrenal fatigue, you should focus on getting your body back in balance.’ Supplement a gentler workout routine with daily yoga and mediation; try the guided meditation app by buddhify.com. A glass of wine may actually help. Can’t say no? Watch out. If you rarely turn down an invitation or a request for help, you’re more likely to suffer from adrenal issues, say experts. ‘Being a people pleaser is often linked with adrenal imbalances,’ says Doyle. ‘You end up with a packed schedule that puts you under enormous strain. It’s very important to learn to say no to others.’ Get rid of the things in your life that cost you energy, but don’t give you much back. It’ll take a load off your adrenals. Sleep is your number-one priority. A chronic lack of sleep can contribute to hormonal imbalances and make you susceptible to adrenal fatigue. ‘It’s more important than exercise, diet and drinking enough water,’ says Tim Jones. He advises you to banish Wi-Fi from the bedroom and , if you have your phone next to you at night, set it to airplane mode. ‘Dim the lights, and don’t stare at Instagram for ages before trying to go to sleep.’ Your best bet is to create a new routine. Soon you’ll associate it with better rest and it will become a habit. Move around every half an hour.